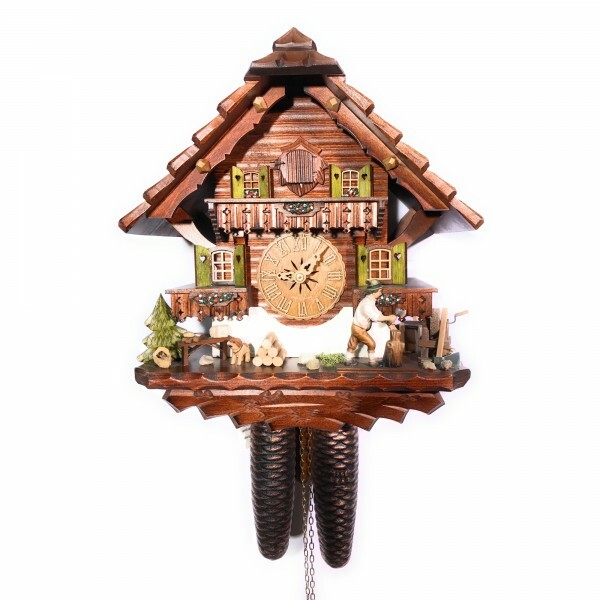 Product information "Wood chopper 8 day cuckoo clock"
This is a wonderful made cuckoo clock. With an 8 day mechanism, which you have to wind up once a week. The Clock features a wood chopper who chops wood with every cuckoo call . This cuckoo clock comes with a night shut-off. It is either a switch on one side of the clock, or a little wire under the clock. You can use it to turn the cuckoo call on and off. Related links to "Wood chopper 8 day cuckoo clock"
Customer evaluation for "Wood chopper 8 day cuckoo clock"